It goes even further than that. Studies have shown that wearing certain fashions have the ability to change your mood. Dark clothing tends to portray a sad picture, dressed in bright colors can also describe a happy mood. if you Always be around such an environment like that can have a negative affect on your mental state and the mind plays a big part in your overall health. This is why hospital rooms are certain color hospitals tend to choose white. Different hues are known to help your body to heal due to the positive state of mind they put you in. There are many things out there that wage war against your body to move in and cohabit with your normal system, but when your immune system is healthy, it wards of the attack; sometimes without you even knowing about it, and without you even knowing it. However, if you do things that affect your mental health, it has been proven that you weaken your immune system by your own hands; making it easier for microbes to invade. A melancholy style will do more than cause people to perceive you in that manner. It also makes your body react accordingly, too. Further still, as those you encounter think that you look under the weather and continually asks you if you are feeling bad because you look down, your body will eventually take on the role of being sick. And whether it is a physical illness or mentally induced one, they feel the same. 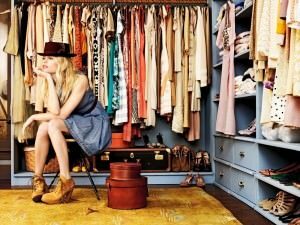 By knowing this should encourage you to take more care in how you present yourself when it comes to picking out your wardrobe. You tend to become what you visualize yourself to be. If you constantly use clothes that describe a bright disposition, your attitude is more likely to correspond with that look. The saying birds of a feather flock together is totally true. You should consider your clothes as your feathers. The most important feathers are not who the bird is, but they grow from the bird and therefore are an important part of what the bird is. Likewise, your clothes are chosen by you and they give an impression of who you are. So if you want to put forth a healthy persona, make the best impression of yourself, attractive and fascinating appearance, it would help to ensure your clothes match your insides or at least match how you want to feel. If your outfits cause people to return looks and stares of negativity, it will look very bad for you, and you are the one who bares the brunt of those looks and they do have an effect on you. The more you are bombarded with that, the more it wears away at your overall health. Another way to improve overall health with your dress is to increase it and cause onlookers to give you the attention you want by wearing clothing and accessories that put you on a higher level than your peers. For example just wear something common in casual or dress, why not push the barriers a little and add some flair to what your have on. Instead of just wearing a shirt, add a light scarf or ascot tie tied around your neck. Choose normal dress to tucked in shirt with dress coat and slacks, wearing something that has an extended cuff and let your shirt tail hang out under your jacket over a pair of designer jeans. It’s sure to get some eyeballs on you accompanied with smiles of admiration. That can only boost your immune system.